Nasir Jamshed made his first class debut at the age of just 15 and was selected to the Pakistan Under-19 cricket team for a series against Sri Lanka, making 204 in the second innings on his debut.He has come through the ranks at under 15 and under 19 level and impressed the selectors with his performances for National Bank especially in 2007/08 season where he scored 800 runs in ten Quaid-e-Azam Trophy matches with the help of three centuries and was selected to play for the Patron's XI side that took on the touring Zimbabweans. A 182 off only 240 deliveries was enough for his name to be shortlisted for the 15-probables for the ODI series.In his debut against the Zimbabweans he opened the batting and smashed 61 off just 48 deliveries which saw him win the Man of the Match award. In his second ODI, he hit 74 off 64 balls, becoming only third Pakistani to make consecutive half centuries in first and second matches.He made his first one day international century against India on March, 18 2012 in Bangladesh at Shere Bangla National Stadium Mirpur at the 2012 Asia Cup. He scored 112 off just 104 balls and was involved in a 224 run partnership with Mohammad Hafeez, which is the second best opening partnership for Pakistan against any team and first best partnership against India in one day internationals. They eclipsed Aamer Sohail and Saeed Anwar’s record of 144 runs which was made in 1996.Nasir was selected for the 5 match one day series in UAE against Australia but had to return home due to injury. He was not selected for the Twenty / 20 World Cup squad and fitness concerns continue to hamper his progress. 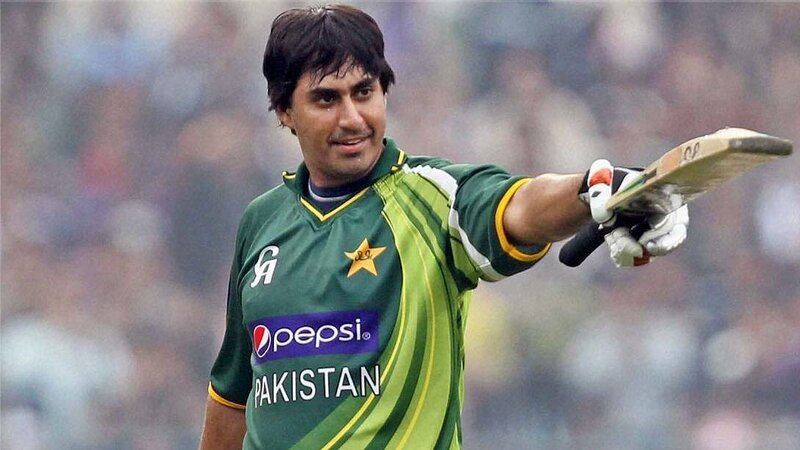 Find Nasir Jamshed profile and stats of batting, bowling and fielding including latest updated news of Nasir Jamshed, videos and images at Hamariweb.com. Also find detail Player profile and career statistics of Nasir Jamshed of Pakistan. 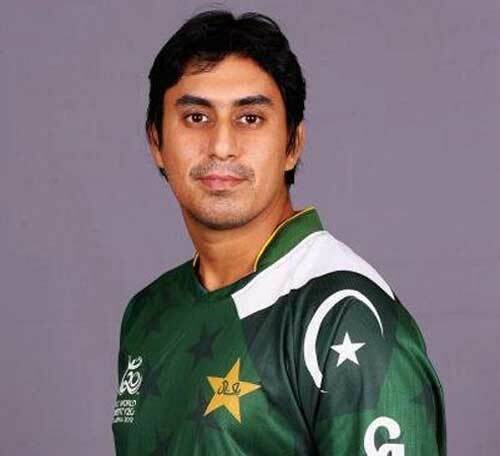 Nasir Jamshed is a very nice batsman he is not performing well in this world cup, but he will perfom if he gets one more chance in this world cup. There is an only fault in the opening batsman of pakistan specially the left handed he cannot help without play sleep shot. I dont like those opening batsman who get out in the sleep, nasir jamshed also gives catch many times to the sleep fielder but no one can try to improve his technique. Nasir Jamshed is far batter player then hafeez. he should be in playing eleven and she should play in odi and t20 both format. he is a very good hard hitting batsman . 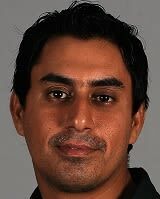 Nasir Jamshed i do not know why i just don't like this player he should not be in the team. i hate his performance even i change the channel when i comes to play. Pakistani team has only some good players PCB should hire some most and extra ordinary players like in 80s and 90s we used to have. yes hiba you are rite he is a good player but i think he only like to play vs india .. he as score 3 hundred against them...and he is good in Asian wickets as well but know a days he is short of confidence..
selectors drop him from Pakistan team this is a good decision by them..know its time for him to play well in domestic and then come back.. i really like Nasir Jamshed batting but he is totally out of form know a days..
Nasir Jamshed - Find Nasir Jamshed of Pakistan Cricket Team complete player profile, number of matches, runs score, wickets & catches, Statistics, Records, Nasir Jamshed Latest News, Nasir Jamshed Videos, Nasir Jamshed Photos, and other Nasir Jamshed Cricket Team players.